If you saw my post earlier this week you’ll know I went with Dee from deesbeautifullife to check out Funky Skincare at The Forum in Norwich. 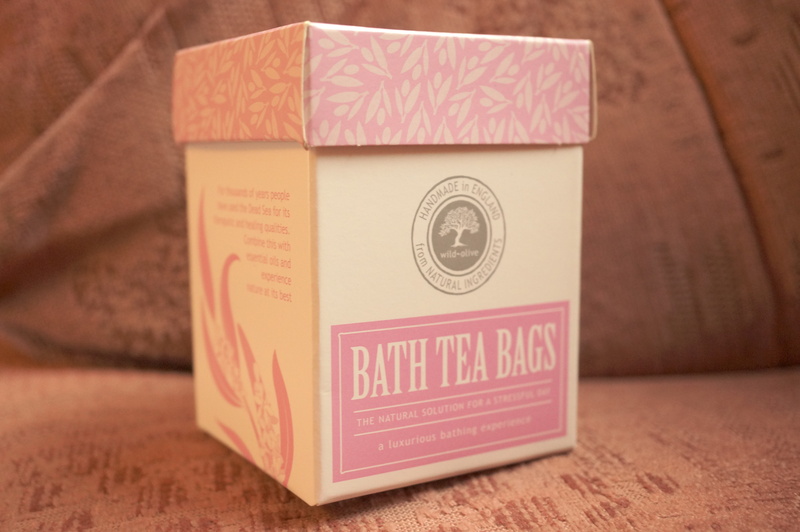 These Bath Tea Bags instantly caught my eye as I’ve never seen anything like them before! I bought a box of Wild Olive Bath Tea bags for £8.50, inside the box were five mixed bags, the ‘flavours’ sounded lovely, especially the Mandarin, Bergamot & Orange Blossom, it smelled divine! 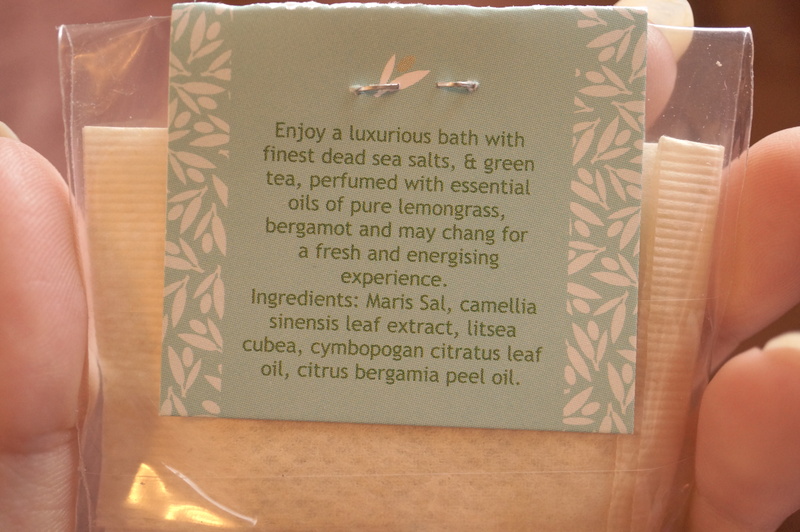 The Tea Bags contain bath salts, various teas such as green tea and orange blossom tea, and essential oils. You just run a bath and drop a bag in like you would a cup of tea! The ingredients infuse into the bath creating a lovely scent and the essential oils left my skin feeling lovely and soft. I tried one of the tea bags and wasn’t sure what to expect. The scent filled the room and made for a lovely relaxing bath, and my skin was super soft when I got out too! 1. What inspired you to set up Funky Skincare? Sarah and I met back in 2009 when we began working together in a busy marketing team. We quickly hit it off and became good friends. As experienced marketers we often chat about our own experiences as customers and had strong ideas about how customer service and products, particularly skincare, could be improved upon.We both had a real passion and enthusiasm for skincare products having both struggled to find the perfect solution for our different skin conditions, Sarah suffers with Psoriasis and I suffer with oily skin prone to breakouts and in a ‘light bulb moment’ we decided to go into business together. We quickly realised chemicals in skincare was playing a huge part to our conditions and so knew in an instant that Natural was the way forward! 2. Out of the products you sell, which is your favourite and why? It’s difficult to say as we only select products that we ourselves really like, however there are a couple of favorites and mainly because having tried every product we sell, we have seen some amazing results on our own skin. We both really like the ‘Pulpe De Vie Range’ this range is made from organic fruits and vegetables and love everything about it including the smells, the funky packaging and of course how it makes your skin feel. Ora Naturals has to be another firm favorite, it’s entirely based on the miracle ingredient Argan Oil which is believed to be the rarest oil in the world with one tree yielding just one litre of oil per year. It has one of the highest known contents of Vitamin E in the natural world and protects the skin against the effects of ageing as well as decreasing inflammation, scarring and the appearance of stretch marks. It’s a ‘No brainer’ who wouldn’t want this on their dressing table? 3. Can you tell me more about The Ultimate Pamper Experience? We describe the Ultimate Pamper Experience as ‘The at home part with a difference’ this is partly because we like to add fun into what we do and because it’s completely tailored to the host. We offer a range of experiences from ‘Classy Chic’ where we can teach people the basics in caring for your skin to ‘Full on and Funky’ where we put the fun into pampering with a light-hearted evening for those who are up for a real full-on funky experience.There are of course lots of opportunities to sample the products and discover some wonderful ingredients. 4. Do you have any tips or recommendations you can offer someone that’s just starting out with skincare? During our research over the last two years we have been overwhelmed with the amount there is to learn about and the fierce competition that exists within the cosmetic industry. Therefore our advice would be to do as much research as possible in the industry and your market before you enter into any business, especially with such a fast changing and complex subject such as skincare. You have to be very passionate about what you are doing and it is our passion and enthusiasm that drives us to succeed. We don’t offer consultations as such but our aim has always been to be completely transparent in our marketing approach to Skincare because so often people have no idea what they are putting onto their skin. We aren’t qualified skincare experts by any stretch of the imagination, however we strive to learn as much as possible behind the science of it and the benefits of each of the natural ingredients ingredient, this enables us to impart what we have learned onto our customers so that they can make an informed choice. There’s always opportunity around the corner though and who knows, one day consultations may be part of what we do! If you’re interested in natural and organic skincare products you can check out Funky Skincare here! Previous Post Boots & Space NK Beauty Hauls! !